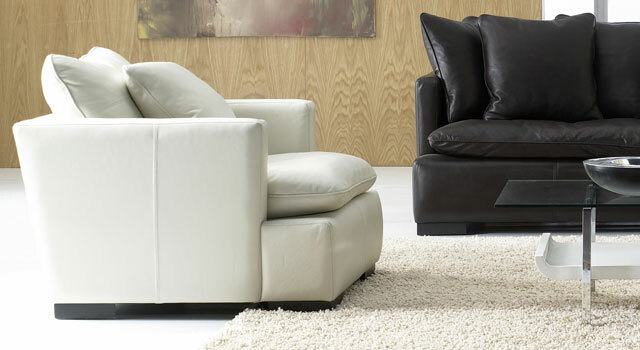 What is the advantage to purchasing leather furniture? Leather is a beautiful material, but its wide popularity in furniture was not built on appearance alone. Leather is specially tanned, colored and treated to withstand even the most active households. Leather has several properties which make it superior to other upholstery materials. It will not tear or easily rip, even along seam lines, unlike many fabrics used on upholstered sofas. When leather is dyed, it absorbs colors, which won’t fade, or rub off. Leather is fire resistant, and won’t emit toxic fumes, even when exposed to intense heat. Also, modern leather will not crack, or peel; instead it stretches and retains its shape without sagging. There’s nothing quite like the rich smell and feel of leather. Leather will breathe and assume body temperature rapidly making it comfortable quickly. Leather also ages well, is simple to maintain and doesn’t require any special solvents. It’s healthier! Fabric can attract allergens and dust mites, but leather does not. Leather is recommended by many experts, including Prevention Magazine® as a healthier alternative for your home. Leather is a natural product, so each hide’s grain is unique, much like a human fingerprint. Natural markings such as wrinkles, scars and grain variations add character and style to leather furniture, and are indications of its natural origin. This entry was posted in Leather Furniture Buying Guide and tagged buying leather furniture, Leather Furniture Buying Guide, leather furniture information on June 5, 2010 by LeatherGroups.